A bone to the dog is not charity. Charity is the bone shared with the dog when you are just as hungry as the dog. 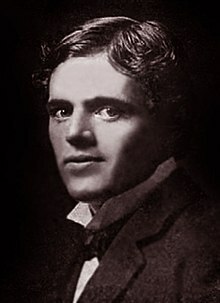 John Griffith "Jack" London (born John Griffith Chaney, January 12, 1876 – November 22, 1916) was an American novelist, journalist, and social activist. I do not live for what the world thinks of me, but for what I think of myself. Life? Bah! It has no value. Of cheap things it is the cheapest. Life achieves its summit when it does to the uttermost that which it was equipped to do. The trouble with him was that he was without imagination. He was quick and alert in the things of life, but only in the things, and not in the significances. The Bulletin, San Francisco, California, December 2, 1916, part 2, p. 1. Life’s not a matter of holding good cards, but sometimes playing a poor hand well. There are things greater than our wisdom, beyond our justice. The right and wrong of this we cannot say, and it is not for us to judge. He lacked the wisdom, and the only way for him to get it was to buy it with his youth; and when wisdom was his, youth would have been spent buying it. Fiction pays best of all and when it is of fair quality is more easily sold. A good joke will sell quicker than a good poem, and, measured in sweat and blood, will bring better remuneration. Avoid the unhappy ending, the harsh, the brutal, the tragic, the horrible - if you care to see in print things you write. (In this connection don't do as I do, but do as I say.) Humour is the hardest to write, easiest to sell, and best rewarded... Don't write too much. Concentrate your sweat on one story, rather than dissipate it over a dozen. Don't loaf and invite inspiration; light out after it with a club, and if you don't get it you will nonetheless get something that looks remarkably like it. Such is my outlook. I look forward to a time when man shall progress upon something worthier and higher than his stomach, when there will be a finer incentive to impel men to action than the incentive of to-day, which is the incentive of the stomach. I retain my belief in the nobility and excellence of the human. I believe that spiritual sweetness and unselfishness will conquer the gross gluttony of to-day. And last of all, my faith is in the working-class. As some Frenchman has said, "The stairway of time is ever echoing with the wooden shoe going up, the polished boot descending." ...men, groping in the Arctic darkness, had found a yellow metal, and because steamship and transportation companies were booming the find, thousands of men were rushing into the Northland. These men wanted dogs, and the dogs they wanted were heavy dogs, with strong muscles by which to toil, and furry coats to protect them from the frost. There is an ecstasy that marks the summit of life, and beyond which life cannot rise. And such is the paradox of living, this ecstasy comes when one is most alive, and it comes as a complete forgetfulness that one is alive. This ecstasy, this forgetfulness of living, comes to the artist, caught up and out of himself in a sheet of flame; it comes to the soldier, war-mad on a stricken field and refusing quarter; and it came to Buck, leading the pack, sounding the old wolf-cry, straining after the food that was alive and that fled swiftly before him through the moonlight. He was sounding the deeps of his nature, and of the parts of his nature that were deeper than he, going back into the womb of Time. He was mastered by the sheer surging of life, the tidal wave of being, the perfect joy of each separate muscle, joint, and sinew in that it was everything that was not death, that it was aglow and rampant, expressing itself in movement, flying exultantly under the stars and over the face of dead matter that did not move. But especially he loved to run in the dim twilight of the summer midnights, listening to the subdued and sleepy murmurs of the forest, reading signs and sounds as a man may read a book, and seeking for the mysterious something that called -- called, waking or sleeping, at all times, for him to come. He was a killer, a thing that preyed, living on the things that lived, unaided, alone, by virtue of his own strength and prowess, surviving triumphantly in a hostile environment where only the strong survive. These women, capable of the most sublime emotions, of the tenderest sympathies, were openmouthed and screaming. They wanted to live, they were helpless, likes rats in a trap, and they screamed. "The cap'n is Wolf Larsen, or so men call him. I never heard his other name. But you better speak soft with him. He is mad this morning. The mate-" But he did not finish. The cook had glided in. My first thought was that a man who had come through a collision and rubbed shoulders with death merited more attention than I received. "I only remember one part of the service," he said, "and that is 'And the body shall be cast into the sea'. So cast it in." Against the wall, near the head of the bunk, was a rack filled with books. I glanced over them, noting with astonishment such names as Shakespeare, Tennyson, Poe, and De Quincey. There were scientific works too, among which were represented men such as Tyndall, Proctor, and Darwin. Hist, now, between you an' meself and the stanchion there, this Wolf Larsen is a regular devil, an' the Ghost'll be a hell ship like she's always been since he had hold iv her. Wolf - tis what he is. He's not blackhearted like some men. 'Tis no heart he has at all. Wolf. just Wolf, tis what he is. D'ye wonder he's well named? Do you know the only value life has is what life puts upon itself? And it is of course overestimated, for it is of necessity prejudiced in its own favour. Take that man I had aloft. He held on as if he were a precious thing, a treasure beyond diamonds of rubies. To you? No. To me? Not at all. To himself? Yes. But I do not accept his estimate. He sadly overrates himself. There is plenty more life demanding to be born. Had he fallen and dripped his brains upon the deck like honey from the comb, there would have been no loss to the world. The supply is too large. He does not lose anything, for with the loss of himself he loses the knowledge of loss. "My vision is clear and far. I could almost believe in God. But" - and his voice changed and the light went out of his face - "what is this condition in which I find myself? This joy of living? This exultation of life? This inspiration, I may well call it? It comes when there is nothing wrong with one's digestion, when the stomach is in trim and and his appetite has an edge, and all goes well." Concerning his own rages, I am convinced that they are not real, that they are sometimes experiments, but that in the main they are the habits of a pose or attitude he has seen fit to take toward his fellowman. The loneliness of the man is slowly being borne in upon me. There is not a man aboard but hates or fears him, nor is there a man whom he does not despise. He was not immoral, but merely unmoral. And through it all, calm and impassive, leaning on his elbow and gazing down, Wolf Larsen seemed lost in a great curiosity. This wild stirring of yeasty life, this terrific revolt and defiance of matter that moved, perplexed and interested him. Judge them by their works. What have they done for mankind beyond the spinning of airy fancies and the mistaking of their own shadows for gods? It was just such uniqueness of points of view that startled Ruth. Not only were they new to her, and contrary to her own beliefs, but she always felt in them germs of truth that threatened to unseat or modify her own convictions. Had she been fourteen instead of twenty-four, she might have been changed by them; but she was twenty-four, conservative by nature and upbringing, and already crystallized into the cranny of life where she had been born and formed. It was true, his bizarre judgments troubled her in the moments they were uttered, but she ascribed them to his novelty of type and strangeness of living, and they were soon forgotten. Nevertheless, while she disapproved of them, the strength of their utterance, and the flashing of eyes and earnestness of face that accompanied them, always thrilled her and drew her toward him. She would never have guessed that this man who had come from beyond her horizon, was, in such moments, flashing on beyond her horizon with wider and deeper concepts. Her own limits were the limits of her horizon; but limited minds can recognize limitations only in others. And so she felt that her outlook was very wide indeed, and that where his conflicted with hers marked his limitations; and she dreamed of helping him to see as she saw, of widening his horizon until it was identified with hers. Much of this he strove to express to Ruth, and shocked her and made it clear that more remodelling was necessary. Hers was that common insularity of mind that makes human creatures believe that their color, creed, and politics are best and right and that other human creatures scattered over the world are less fortunately placed than they. It was the same insularity of mind that made the ancient Jew thank God he was not born a woman, and sent the modern missionary god-substituting to the ends of the earth; and it made Ruth desire to shape this man from other crannies of life into the likeness of the men who lived in her particular cranny of life. Too much is written by the men who can't write about the men who do write. "Then one can't make a living out of poetry?" "Certainly not. What fool expects to? Out of rhyming, yes." I am. I was. I am not. I never am. There are, broadly speaking, two types of drinkers. There is the man whom we all know, stupid, unimaginative, whose brain is bitten numbly by numb maggots; who walks generously with wide-spread, tentative legs, falls frequently in the gutter, and who sees, in the extremity of his ecstasy, blue mice and pink elephants.... The other type of drinker has imagination, vision. Even when most pleasantly jingled he walks straight and naturally, never staggers nor falls, and knows just where he is and what he is doing. It is not his body but his brain that is drunken. I was five years old the first time I got drunk. Men do not knowingly drink for the effect alcohol produces on the body. What they drink for is the brain-effect; and if it must come through the body, so much the worse for the body. The fortunate man is the one who cannot take more than a couple of drinks without becoming intoxicated. The unfortunate wight is the one who can take many glasses without betraying a sign; who must take numerous glasses in order to get the kick.